With the potential for booming business and relatively low barriers to entry, entrepreneurs are starting new hauling operations every day with many current haulers looking to expand their operations. However, waste hauling can be a capital-intensive business, so the choice of equipment is of paramount importance, both in terms of controlling current costs and positioning for future success. By installing a tarping system, haulers can keep their loads dry while avoiding hefty fines due to regulatory and liability requirements. 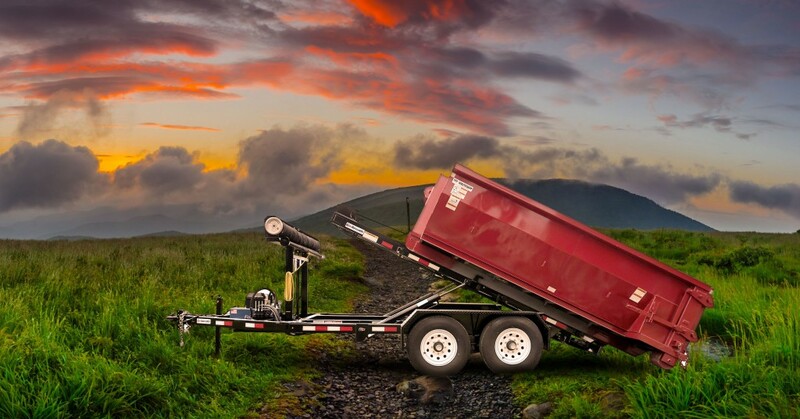 As the leading North American manufacturer of waste handling equipment, Wastequip has worked with thousands of haulers. We have found that those companies who invest in high-quality, versatile equipment have the best chance of long-term success, based on their ability to easily expand and create additional revenue streams. A reliable truck is the heart of any hauler's business. The type of truck you choose will determine how much you can haul, how far you can haul it and how easy it is to load and unload. The most important decision here is whether to purchase a front-load, rear-load or side-load truck or employ a pick-up truck with modified equipment (which will only work with small loads and is not suited to municipal contracts). While front-load trucks cost more upfront than rear-loaders, they require only one person to load, saving time and money in the long run. Rear load trucks are lighter and easier to maneuver, making them the best option for rural routes or roads with lower weight limits. Side load trucks have made huge inroads in the past 20 years. While they are great time savers for residential routes, they have limited capacity and will not accommodate most containers, making them a poor choice for those looking to move into larger collection. Capacity and power are also very important. While few new hauling companies have the capital to invest in a roll-off truck, they can yield great benefits. However, generally speaking, a light duty truck will work for most starting out in residential hauling, but buying a heavier duty truck will give you an opportunity to easily expand into commercial hauling if the opportunity or desire arises. The ability to add-on options after the fact or hang more axles as needed, is critical in eliminating the need for new truck purchases in the future. Fuel efficiency is another key consideration, as savings from a set route will add up over time. Remember that reliable collection is your core service, so it's far more important to get a dependable truck than it is to get something fancy. Avoid the temptation to overbuy a truck with unnecessary options like GPS systems, tracking capabilities and at-home visibility when first starting out. These are generally best suited for large hauling companies who can use the analytics. Used trucks also make a lot of sense for those just starting out and can be easily found and purchased through municipalities and local auctions. While it's important to save money where you can, never skimp on safety options. Choose products that are designed with driver and pedestrian safety in mind. It is important to select highly durable carts that last longer and need fewer repairs, which decreases total costs and enhances customer satisfaction. Cart choice is perhaps the most critical factor in ease of collection, and there are wide variances in features, design and quality in this area. In this case, you really do get what you pay for. Look for high quality carts that have added features and safety measures like no sharp edges and reflective tape. More importantly, look for ones that are easier to maneuver and load and are stackable with their wheels on for more economical storage and faster deployment. Ruggedness and durability mean the carts will need to be changed out less often, saving you time and money, so invest in heavy-duty carts. Carts are also the most tangible way the residents you ultimately serve will interact with you as a hauler. To increase their satisfaction, look for ergonomically balanced carts, that are easy to roll, lift and get to the curb, as well as durable and nice looking. While most haulers just starting out stick to one cart size, as the business grows, it's important to think about multiple sizes to find the carts that are best suited to various types of waste, from recycling to organics. Carts that offer latches and seals to prevent odors from escaping or animals from entering them are a huge plus. While hoists are needed in heavy-duty applications, like hauling roll-off containers, manufacturers like Galbreath have recently launched a new, lighter duty trail hoist that is a great option for smaller independent haulers. Trail hoists offer the durability and power to make a wide range of hauling applications - from construction and landscaping to recycling and municipal waste - easier and more efficient. The versatility and relatively low price point of these hoists give users an opportunity to perform a wide range of tasks to start or grow their own operations and move up to heavier duty equipment over time. Pull behind roll off trailers have the advantage of lower cost to own as they do not require as much maintenance as the traditional chassis mounted hoists that need to have their powertrain components maintained. Trailers allow the user to haul multiple loads at once, provided the vehicle towing the trailer is also equipped with a hoist. Their versatility stems from being able to haul a variety of roll off containment systems via use of just about any ¾ ton and above truck that is equipped with a hitch. This gives haulers the opportunity to turn the daily driver into a revenue producing piece of equipment. Plastic front-end load (FEL) containers are ideal for organic waste and in areas where corrosion or noise are concerns. Containers follow the same rule as carts. Containers are a long-term investment and should be built to last for many years. Steel containers are preferred by many haulers, but plastic is a viable and increasingly popular alternative for many operators. While all steel containers will eventually start to rust out, they are incredibly strong and durable. Plastic front-end loaders make sense for organic waste or in areas where moisture or noise are concerns. Given their lighter weight and easier maneuverability, they are a good choice for safety reasons if the driver is likely to have to get out of the truck and move the container. Whether steel or plastic, quality craftsmanship and durable materials will ensure that your containers have a much longer service life and are easy to haul. Choosing containers that have funnels and gussets on the lifting sleeve to help guide the fork into the pocket save time and make dumping easier, which can lead to greater speed. The ability to go faster will drive how much work you can do and how much revenue you can collect. While container handlers are a staple of large hauling operations, they are also perfect for small waste handling companies that have contracts with small businesses or restaurants. Investing in a container handler early on increases efficiency, enables haulers to seek lucrative private contracts and provides the option to expand into larger operations as needed without an additional required investment. Key features and options like rotators that allow haulers to pick up and dump a container, if the need arises, can save significant time, which, for haulers, equals money. Look for container handlers that have hydraulically adjustable fork assemblies that enable users to easily handle and haul containers, including front-end and rear-end loaders (up to 10 cubic yards), with wide variations in pocket and trunnion bar heights to give yourself more flexibility. Finally, opt for handlers that are compatible with other types of equipment, including salt spreaders, to increase hauler revenue opportunities. Sustainability has never been more important to consumers, businesses and municipalities. Most have a need or even a requirement for recycling and organics pick up in their contracts. Smart haulers will invest in organics and recycling bins, carts and loaders at the onset to give themselves the best chance of winning these lucrative contracts. Deciding to do roll-off work can yield huge benefits. Most roll-off work typically does not involve a contract, may be more seasonal in nature (especially in fields like construction) and requires finding customers using open top containers. It also requires investing in the heaviest duty equipment, which can be significantly more expensive. However, roll-off capability can add new revenue streams, especially in being able to haul compacted loads, which can be scheduled and quite lucrative. Similarly, although many haulers shy away from compaction, largely due to the upfront cost of buying a compactor, compaction is an excellent add-on service that can generate predictable revenue. While many haulers can be a little daunted by the idea of compaction, those who invest in these tools as their business grows never regret it. Tarping systems are an important safety feature to properly secure your load for the long haul. • To tarp or not to tarp? Tarping systems are like the middle children of the heavy equipment world: often ignored until something goes wrong. While these systems are often one of the last pieces of equipment considered when choosing waste hauling equipment, due to regulatory and liability requirements that mandate the use of tarping systems while loads are in transit, a missing or non-functioning tarp can take a truck out of commission, costing haulers significant time and money. Tarps are also an important aspect of safety, keeping debris in containers and off the road while in transit, and can aid in sustainability efforts by keeping loads dry and ridding the waste stream of excess water. Look for durable and fast-operating tarps from a manufacturer with a large dealer network, strong technical support and easy parts ordering. The bottom line is the quicker you can go and the less fuel you use to do your route, the greater your profitability. Rather than getting more expensive built-in systems, consider investing in route optimization software that can be easily loaded onto any computer. This tool reconfigures your route as new pick-ups are added, saving time and money. Many would-be successful haulers have gone under as a result of a serious workplace injury, so emphasizing safety in all areas of your business is paramount. Choosing high quality equipment can go a long way in creating this culture of safety. Many manufacturers have worked to engineer possible safety hazards out of their products and to create safe guards and easily-visible reminders, and several have excellent on-site and video training options available for workers. Be sure to avail yourself of these life- and sometimes business-saving resources. While hauling is an increasingly attractive and potentially lucrative business opportunity, it requires smart capital investments, aggressive prospecting and a commitment to driving efficiency. With that in mind, it's no surprise that selecting the right equipment is a critical factor in the initial and ongoing success of any hauling operation. Take the time to research your options and think through not only your immediate needs but longer-term goals to determine what will work best for you and be sure to consider value rather than cost. Versatile pieces that can be used for a variety of hauling needs and are compatible with other types of equipment are always the best choice to position your operation for growth. Several trade associations like the Solid Waste Association of North America (SWANA) and equipment vendors can be of help in guiding this process.